To bring extra focus on health and safety for students, the University of Dayton will contract with the City of Dayton for a housing inspector dedicated to ensuring all properties in student neighborhoods meet zoning, housing and building codes. "The neighborhoods surrounding the University of Dayton are among the most distinctive and well-maintained student residential areas in the country," said Rick Krysiak, vice president for facilities management and planning. "We are making this investment to ensure issues that can affect the health and safety of our students in UD-owned properties or rental properties are addressed promptly and consistently." The Dayton City Commission on Dec. 13 approved a contract for $90,000 annually for four years to fund a conservation specialist position who will be responsible for monitoring approximately 400 UD-owned residences and 115 rental properties and private residences. The area includes the student neighborhoods on the east side of Brown Street from Wyoming Street to Irving Avenue and about 80 residential properties west of Brown Street in the Fairgrounds neighborhood. Conservation specialists are typically responsible for areas that can include as many as 1,500 structures. With such large caseloads, housing inspectors must balance conducting regular inspections with responding to complaints and following cases through the court system. "The safety and well-being of our students are our top priorities. This contract will ensure all properties in these neighborhoods are held to the highest standard of maintenance and upkeep," Krysiak said. "The dedicated inspector will provide annual interior inspections as well as consistent exterior inspections to identify and better follow up on issues that arise between inspections." Bruce Bullman, assistant vice president for residential properties, said UD parents often call him to ask for help with properties their children have rented. "Some of the more common calls are that the rental property doesn't have heat or the ceiling is leaking or there is a clogged drain," Bullman said. "Parents ask for our help, but there is nothing we can do. The housing inspector will be able to investigate the concern right away and contact the landlord to see that something is done. "With more inspections and better follow up, the properties will be safer. That's our number one concern -- that our students live in safe, healthy housing." The program will not include residence halls, which are subject to specialized requirements and inspections for high-density structures. In addition to interior and exterior inspections, conservation specialists are responsible for enforcing housing, environmental, non-residential building maintenance, refuse, abandoned and junked vehicles, zoning, nuisance, and fire codes. "This enhanced level of code enforcement will enhance and protect the investments of all property owners in these neighborhoods and provide a safer, healthier neighborhood for all who live there," said Krysiak. UD has spent nearly $30 million to maintain, upgrade and build new housing in the student neighborhoods in the last five years. 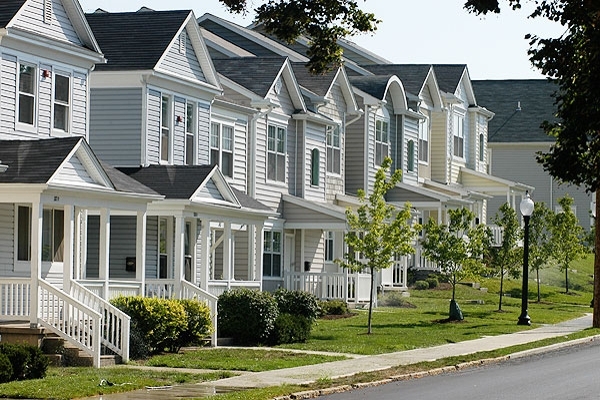 Approximately 2,144 students live in University-owned housing in the student neighborhoods.